Hello my fabulous blogger fam! It’s been a crazy week for me but I am really excited for this post. 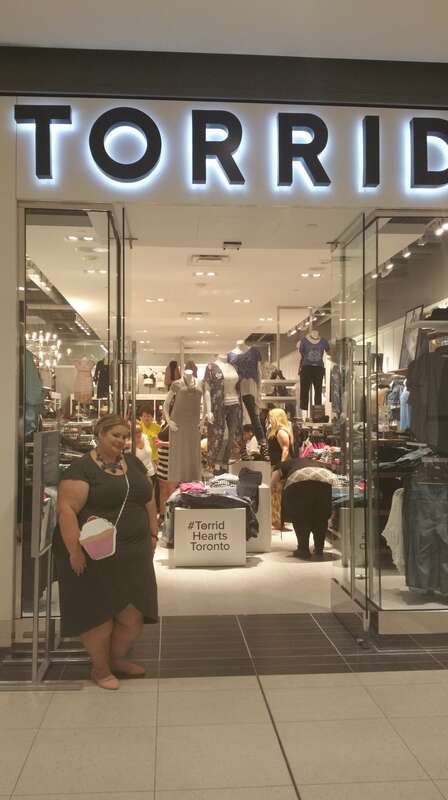 As you all know, I had the pleasure of being one of the bloggers on site at Torrid’s launch of its first Canadian and International store at the Toronto Eaton Centre on September 1st. I was very impressed with their launch celebration. 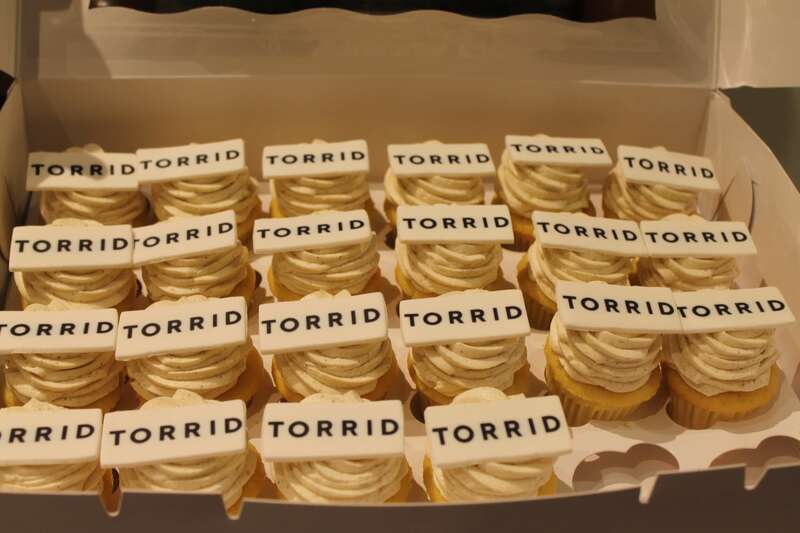 Torrid sure knows how to throw a party! The turnout was amazing, the store looked gorgeous with some of the most beautiful change rooms I have ever seen (can we say fans in the change rooms? – brilliant!) The fabulous Karyn Johnson of Killer Kurves was the consummate host and the gorgeous Torrid super models Georgina and Philomena were not only helping customers style looks but were also working the change rooms. And from a business perspective I was impressed with the fact that they brought in key head office team members from marketing, merchandising and store management to help make sure things went smoothly. 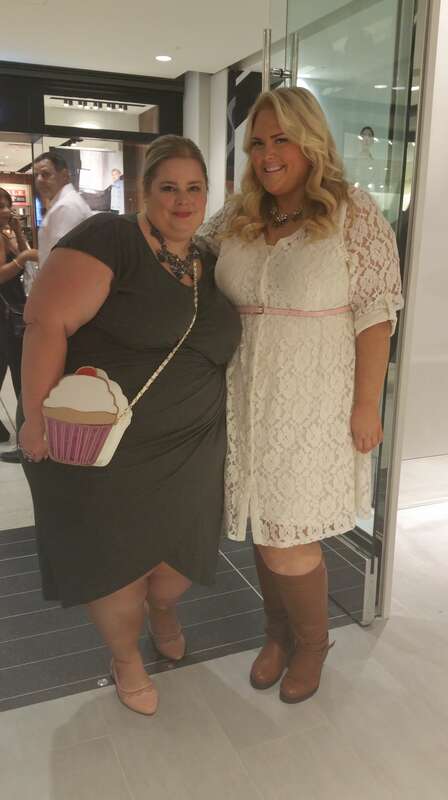 It was a total team effort with all hands on deck to hand out cupcakes, help customers find styles and sizes, checking customers out at the cash, restocking and cleaning up the store. And to the amazing staff for this location – well done! It was a crazy and long day and you lovely ladies did a fantastic job. The commitment to customer service was amazing. I sincerely enjoyed getting to know you. Here’s a picture with me and team member Fatima! I have so much information to share that it is too much for one post so I am going to share my questions and answers in a separate post. Click here for all the details. So first here is the scoop on my look. I chose this gorgeous Shirred Tulip midi dress in charcoal grey. I think you all know by now how much I love dresses and this one is certainly no exception. It’s made of a great jersey fabric, has nice details with the cap sleeve (yeah, no shrug or cardi required), shirred waistline that masks any “problem areas” and a cute tulip hem. You can easily dress this up or down or take it from the office to a night on the town. And the colour is great for fall. I also loved that it hugged my curves in all the right places. I am wearing a 5x. 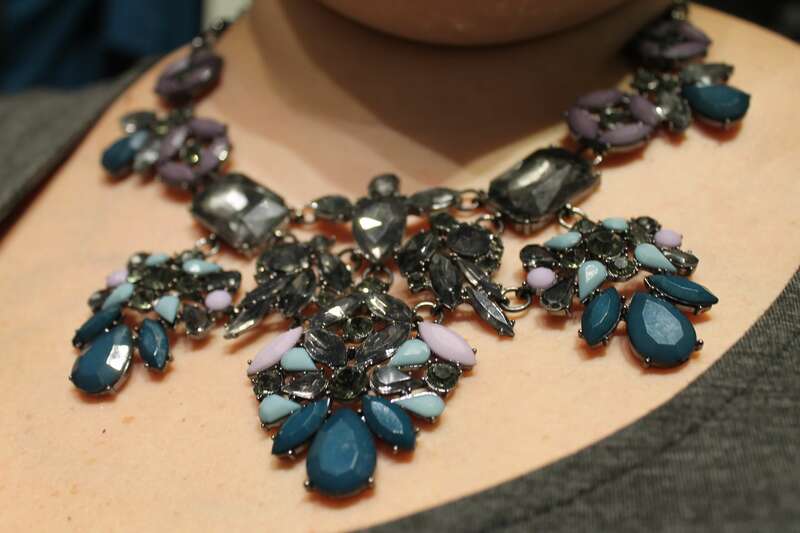 I chose to pair this with a stunning statement necklace with an amazing combination of charcoal, black, teal and lilac. It certainly added a nice pop of colour to the outfit and made the whole look for me. I also wore this cute bracelet with the suede accent which is huge for fall and a gorgeous square cut ring in a beautiful shade of blue. 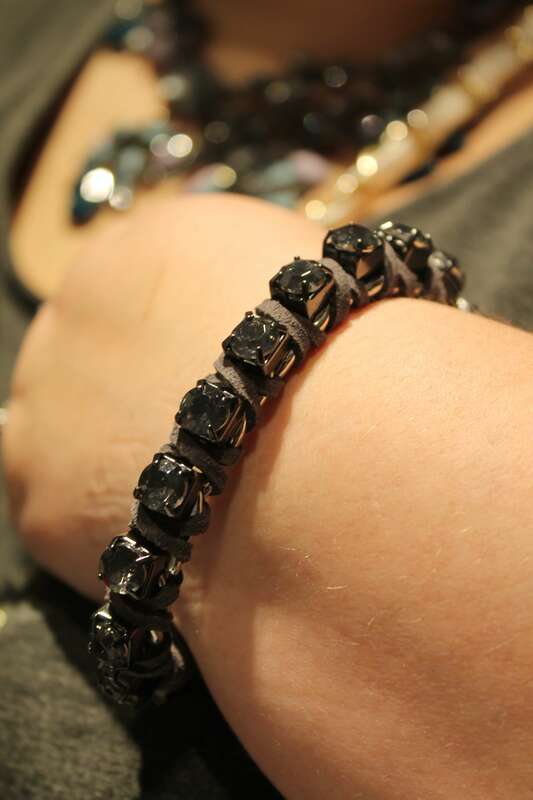 The great thing about Torrid accessories is that they are made for the plus size woman. Necklaces are longer, bracelets fit our wrists and rings come up to a size 12! 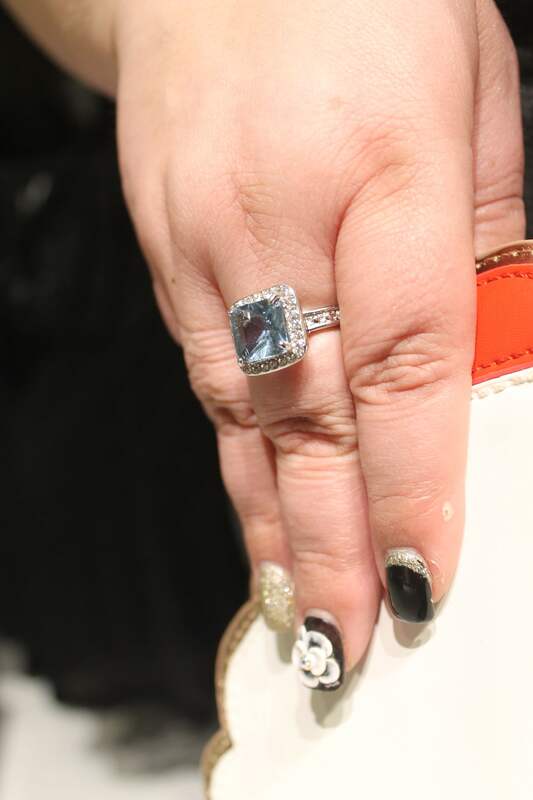 There is nothing worse than looking at beautiful accessories in regular stores only to find they don’t fit or they don’t carry a ring bigger than a size 8! Unfortunately by the time I had a chance to shoot the pictures of this look, my feet were a tad sore and I had put on my go to sandals. However, I did originally go with these adorable blush mesh flats with the cutest stud details. 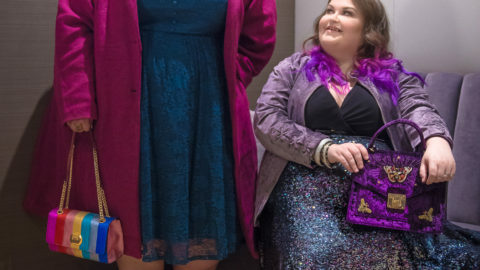 What I like about Torrid shoes is not only are they wide width but they carry size 7 to 13 so for those ladies who have problems finding larger sizes, Torrid has affordable options. 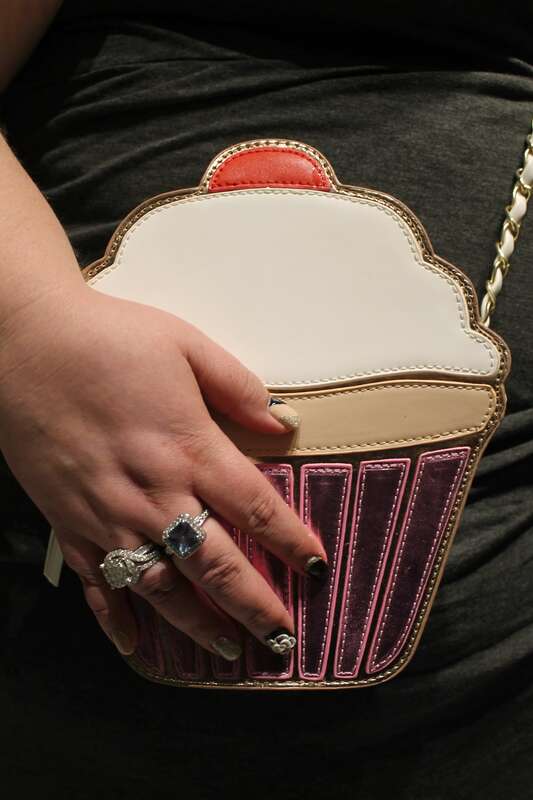 The piece de resistance for this look was the simply adorable cupcake cross body! When I saw this online, I just couldn’t resist! It is a statement piece that will get the conversation going and adds a whimsical element to any outfit. These bags are super on trend this season. I typically have an issue with cross body bags having a long enough strap to fit over my chest but this one fit great. It is also a great size, you can fit a phone, lipstick, cash, ID etc. very easily. I love a deal so I have to share that this week they are offering $30 off when you spend $100 or buy one get one free. The great thing is they give you whatever deal works out to be the most savings! This Saturday is the official grand opening and they will be giving out gift cards to the first 50 customers with random amounts up to $100. 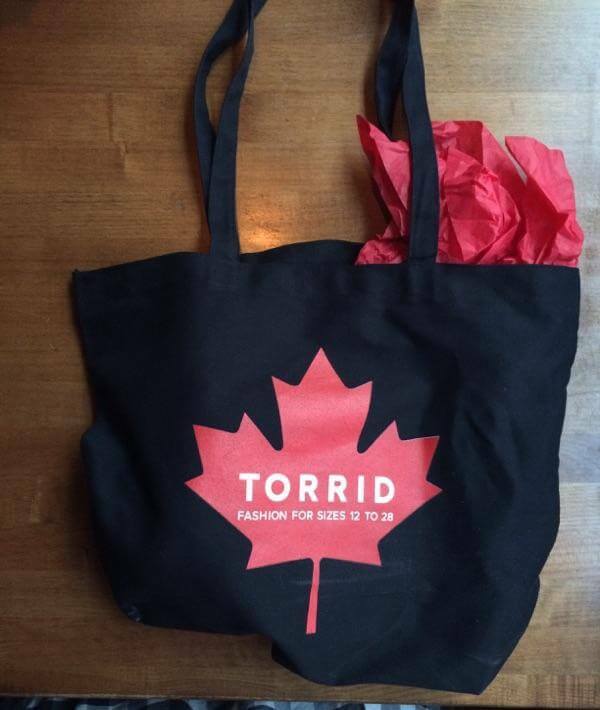 And you will also get a #TorridHeartsToronto shopping bag – aren’t they cute? It was so great to see so many woman in the change rooms trying on all their looks. I would love to see you rocking your new Torrid outfits so please tag #LisaHeartsTorrid on Instagram so I can take a look and do some reposts! Happy shopping ladies! Thank you to Peter for capturing my look. #LisaHeartsTorridTorrid FAQ - Get Your Answers Here! 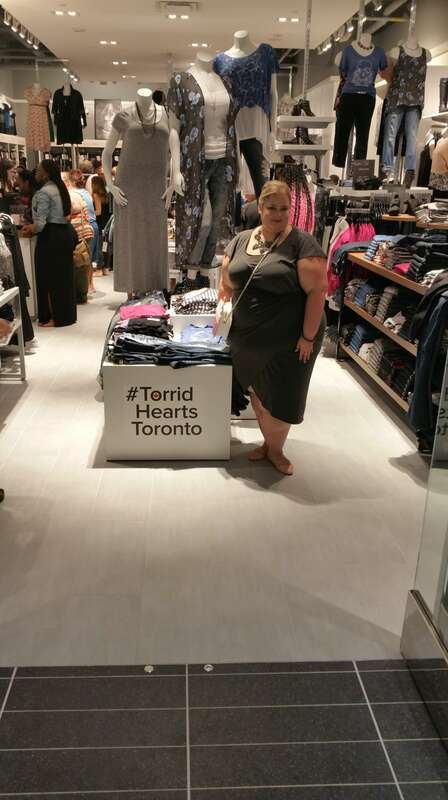 Where in the Eaton Centre is Torrid? It’s on the 2nd level in the renovation section closer to Dundas, near H&M.